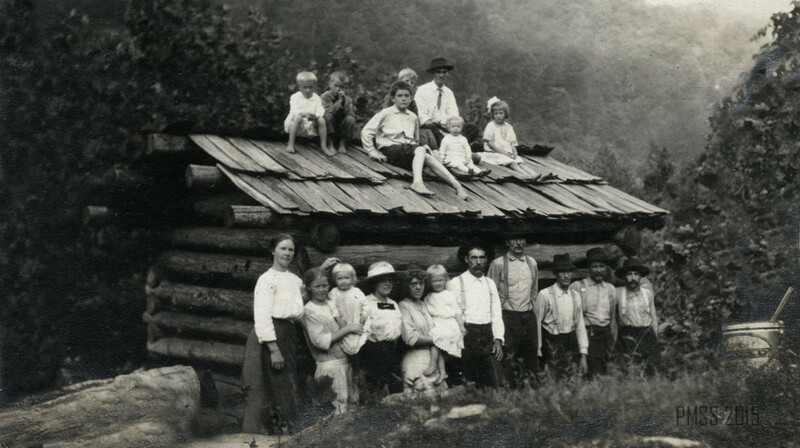 The ground for the first building of the Pine Mountain Settlement School was broken May 15, 1913, but its real beginning dates back thirty years, when Mr. William Creech first conceived the idea that there ought to be some day a school at the headwaters of Greasy Creek. 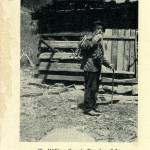 Ten years before he had come across the Mountain from the headwaters of the Cumberland River to build him a home in the wilderness — for the country was then sparsely settled, wild game and deer were abundant, and the valleys and hillsides were so heavily timbered and dense with laurel and rhododendron thickets that a man could scarcely hew out a clearing for a home. Working at his farm by day, and his blacksmith’s forge by night, far away from the modern discussion of educational ends, alone he developed a great idea of education. He believed that farming should be taught, and the hand industries kept alive, that teachers should know more than book-learning. Year by year as he saw more and more young men turn from farming to such “public works” as logging and mining, he felt a great weakness in the new order of civilization and wanted a school that should arouse interest in the arts of the farm and home. 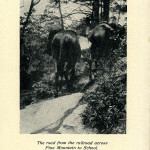 Because of this remarkable conception of his, when two women came along who wanted to start a school where agriculture, forestry, and kindred subjects should be taught, he received them with welcome, and had no suspicion of their purposes because they asked for at least two hundred acres of land, instead of a mere building spot for a schoolhouse. Miss Pettit and Miss de Long, who had been working in the town of Hindman, Knott County, Kentucky, and wishing for a chance to start a school in the “pure country” found not only Mr. Creech but the whole neighborhood eager to help. Citizens from seven and eight miles away met with those nearby in public mass meetings, begging that a school be established and pledging lumber, money, and labor. 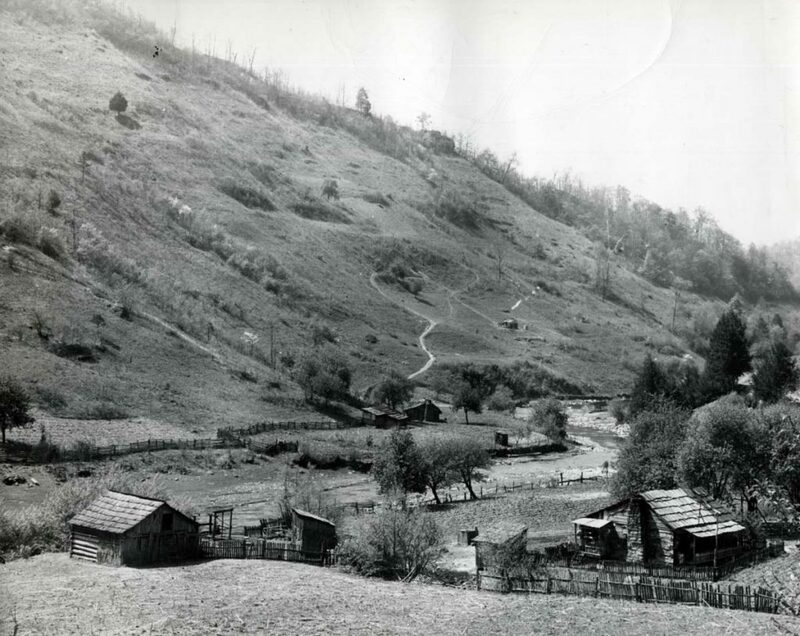 Entirely for the benefit of the country, since his own children were all grown, Mr. Creech offered a large gift of land at the headwaters of Greasy, along the slopes of Pine Mountain, providing the Kentweva Coal & Lumber Company, which has extensive holdings through the neighborhood, would transfer to the school some adjoining property owned by them. The Company not only made the transfer, but most generously gave the land. The entire gift amounted to two hundred and thirty acres, and made possible a plan of rural education that should largely serve the community. Few schools could start with a richer natural endowment. 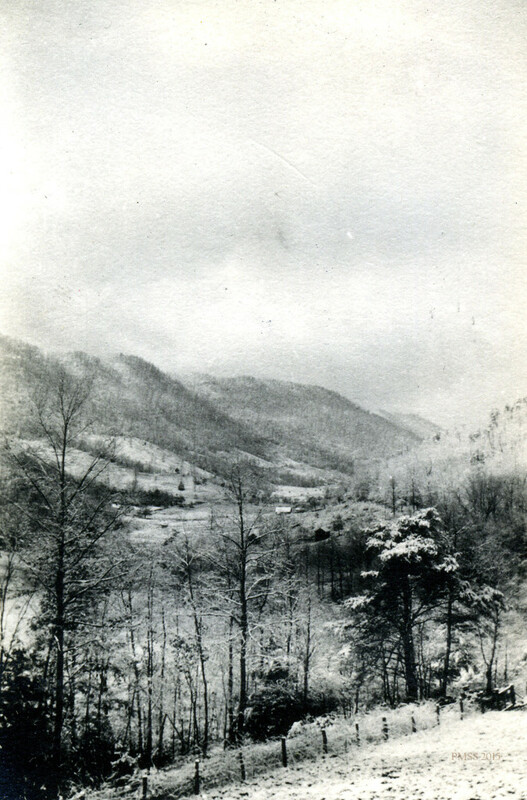 The two hundred and thirty acres are heavily timbered; there is an abundance of first-rate building stone; the coal veins on the land will supply the school for many years; and a splendid limestone branch, coming down from the heart of Pine Mountain will furnish water for a large reservoir. The neighborhood knows nothing of the timber famine; this spring a man burned 75,000 feet of magnificent lynn and poplar timber in clearing some new land for corn. But the richest asset of the community is the children! Within a radius of seven miles are eight hundred children who have never known the influence of a good school. People sometimes think the mountains are already over-supplied with schools. 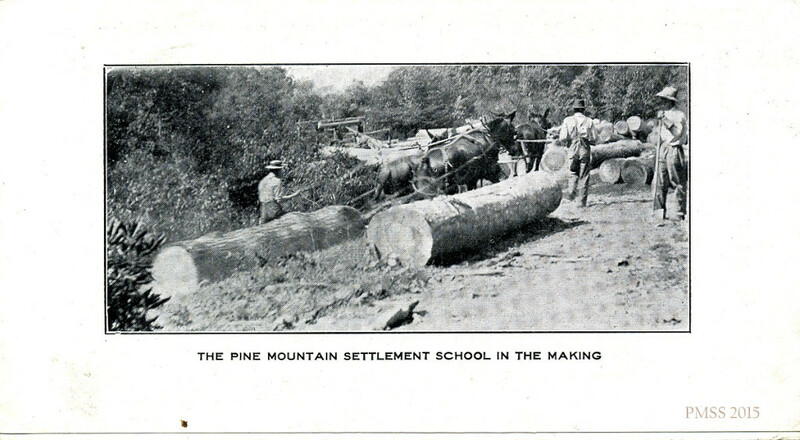 They do not realize that the 13,000 square miles of mountain land in Kentucky would more than cover the whole of Massachusetts and Connecticut — and that to object to a school at Pine Mountain because there is already an excellent one at Hindman is like denying a school to Philadelphia because there are educational opportunities in New York. Shut off behind Pine Mountain these children have no chance unless a school comes to their midst. Its papers of incorporation give the school entire freedom in this large field of rural service. The Board of Trustees, an independent organization, is composed of men and women from different parts of the country who are deeply interested in working out such problems. They believe that the laws of health and sanitation, economic and intelligent ways of farming, a wise use of timber resources, practical cooking, sewing, home nursing, weaving, and woodwork should be taught. They wish the school to cooperate in every way with the community; to help solve the problem of recreation, by clubs, outdoor games, and wholesome social diversions; to share in the religious life by Sunday School work, and non-sectarian Christian association. Money has been given to begin the work and carry it on for a year and the Settlement is now putting up a seven-roomed log house [Big Log] for the first residence. 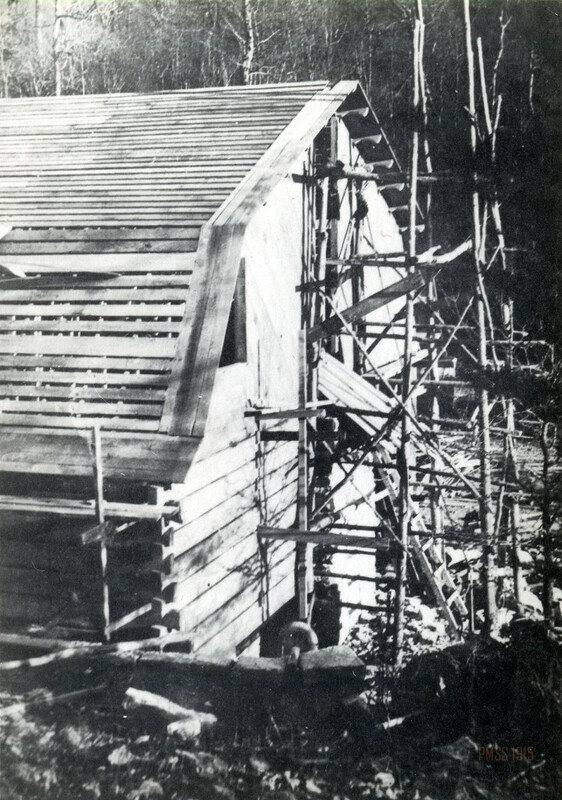 The men of the community cut and gave all the lumber for this house, as a partial fulfillment of their pledge, the first tree for it being cut by a little seven-year-old boy who worked from sunrise to sunset to fell it. With the new sawmill, given by a woman who believes in this kind of education, the lumber is to be cut for the Settlement buildings, — school house, homes for children, workshop, and barn — which should be built next summer. 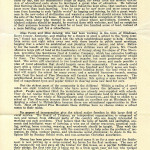 For the first year’s work the family includes, besides the Executive Committee, a trained nurse, a secretary, a housekeeper, and a scientific farmer who also understands forestry and the management of a sawmill; several volunteers have offered to teach the children and conduct singing school, young people’s clubs, etc. Friends must be found this year so the School can go on and put up the buildings necessary for its plans. It hopes for many annual subscribers, who will understand its needs and have faith in its ideals. In the interest of a remote community, which has itself given most generously, it appeals for help.